ARE YOU A BUILDER who’s being tapped into by the homeowners for advice on the multitude of design decisions they need to make while you’re also working to build their custom home? We love partnering with home builders to save you time and money by helping to offer your clients a turn-key design-build experience. We hold their hand so you don’t have to. We’re actually quite good at it. We work side by side with the homeowner to provide design solutions that fit their aesthetic, functionality needs and budget (whether based on allowances or additional spend). Our buttoned-up processes ensure we adhere to your timeline. We’re there to expedite the process for you – not to delay it – and so we are ultra-conscious of your timeline. In fact, the first thing we do is request a construction schedule so we can work based on your timeline. 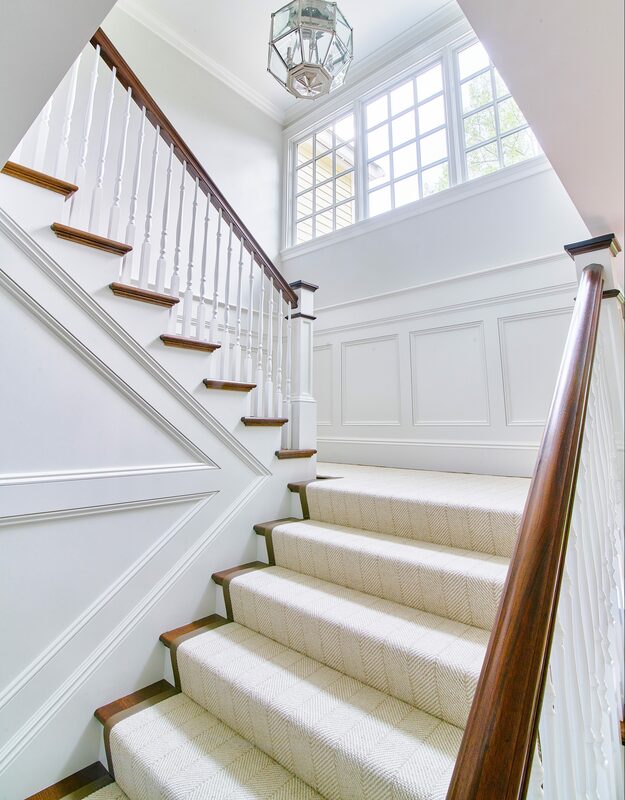 Increase profitability on your projects by saving you time and money as we work directly with the homeowner on all design decisions – from the crown molding profile to tile selections and grout colors, and everything in between. We hold the client’s hand, creating confidence in their decisions, so you can remain focused on making progress on the project and reducing last minute changes due to their uncertainty. Our vast experience with new construction and renovations allow us to guide the homeowner in making selections and decisions that work within the home design and construction specifications. While we, of course, love the “pretty” stuff, we also have a great appreciation for what you do that goes on behind the walls and under the floorboards in order to get us there. We love a good construction site and creating plumbing and tile schedules actually gets us excited – which makes us a perfect fit for your projects. What’s the end result for you? Beyond happy clients who sing your praises to other potential clients, plus time back that you’d otherwise spend assisting homeowners in making every decision so you can focus on moving their projects forward (which in turn improves your profitability). And if that isn’t enough, you also get positively gorgeous end results that photograph beautifully for ideal additions to your project portfolio. Contact Janelle if you’d like to discuss a potential collaboration. We’d love to work with you! Some of our favorite projects begin with a collaboration with the architect and client. We love helping bring the architect’s vision for the client’s home to life while infusing the interiors with special elements that bring it to the next level. ARE YOU AN ARCHITECT who appreciates the different but related skill set an interior designer offers? By being brought in on the project early, we can . . .
Support your processes by helping the client understand their options and make smart design decisions in a timely manner. Preserve the integrity of your plans by avoiding client-driven changes later in the project as we help the client make sound design choices that also suit their lifestyle right from the start. architectural design of their home. Be available to take on the tasks that you’d rather not deal with, such as bathroom tile layouts and millwork elevations. We’re happy to be able to say that every collaboration we’ve done with architects where we were brought on early in the project has involved profoundly different design decisions (and profoundly happy clients as a result) than would have been made without us . . . Let us be a part of your support team to deliver those kinds of results for you, as well. Our team is gifted at seeing a home’s potential and articulating that potential with confidence. We love collaborating with realtors to help their clients see that potential, which in turns sells properties. We also offer discounted interior design consultations to our valued Realtors – they make perfect housewarming/client thank you gifts. Every day, WE REPRESENT PRODUCTS WE LOVE BY . . . While we’ll never represent or recommend any product we don’t truly love and stand by, we’re always happy to learn about fantastic new items, product lines and vendors. If you’re an artisan or a company with something you think we’ll love and you want to see about forming a collaboration, please reach out to us at info@blakelyinteriordesign.com (but note that we aren’t obligated to review or post about a product if you send it to us unsolicited).